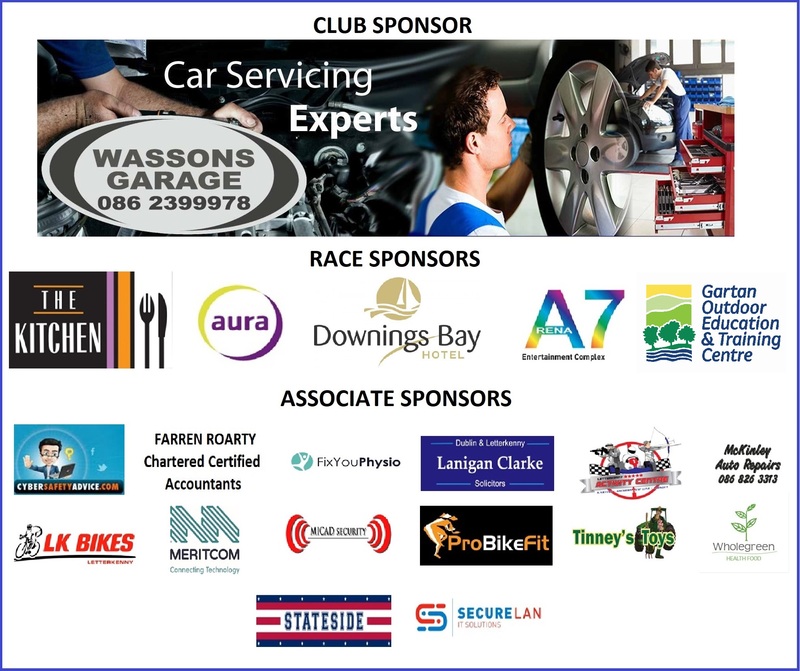 The ever popular Try-a-tri makes a return to the 24/7 race calendar on Sunday 28th April 2018.This is a brilliant event for anyone who wants to get a taste of the triathlon world. Entries for the try a tri are only open to those who have not taken part in a triathlon before. The distances are a 200m swim, 13k cycle, 3.5k run. 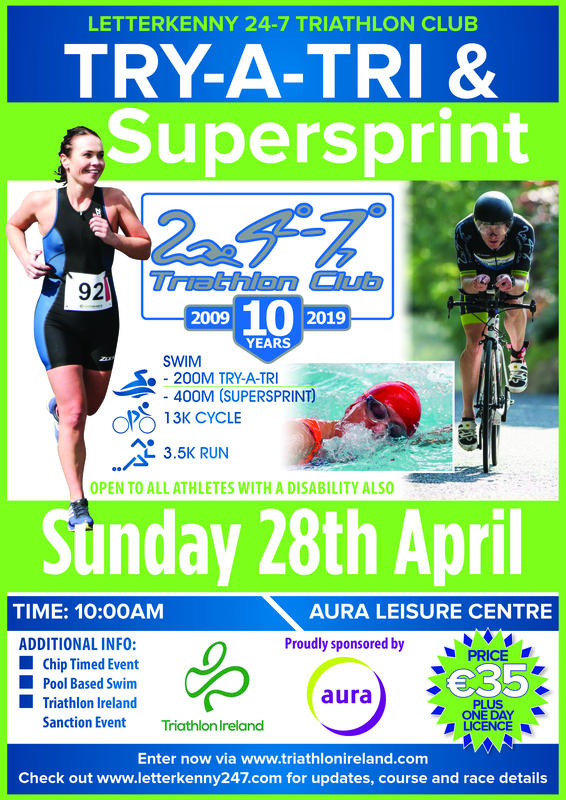 There will also be a Super Sprint event comprising of a 400m swim, 13k cycle and 3.5k run- the perfect warm up for the triathlon season. Registration will take place at Aura Leisure Centre Letterkenny on Saturday 28th April from 4pm – 6pm and on the morning of the race from 8am – 9:30am. Race briefing will be at 09:40am with the race starting at 10am sharp. More details will be released shortly. Any queries please contact the Letterkenny Triathlon Club Facebook page or any committee member. You can register for the event on the Triathlon Ireland Website.